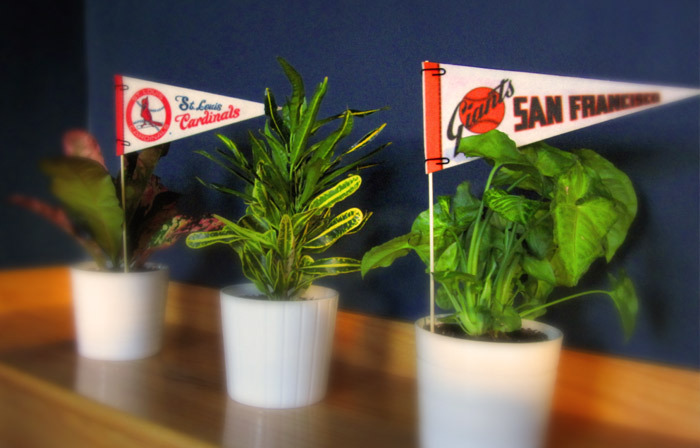 Earlier this year in the summer we came across these pennants and had to have them. Who knew these two teams would make it to the NLCS this year. That’s where we stand, John’s Cardinals and Dan’s Giants battle it out for the best in the National League. Things are tense around the office and know only one can win, but we both find consolation in the fact that either way we have a Houses team representing the National League in the World Series this year!! Go Cards! 12 in ’12! !